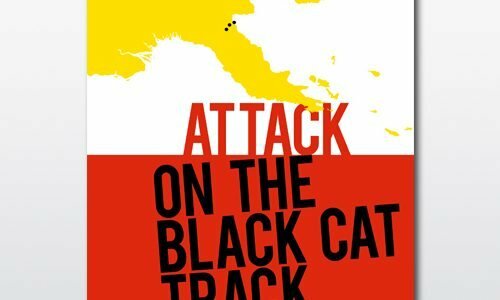 THE 2013 attack on the Black Cat track in the Morobe Province of Papua New Guinea shocked and saddened people worldwide, but the event held also held a particular significance in Warrandyte. Three porters and 10 trekkers were killed, while other trekkers were wounded. Peter Stevens and Rod Clarke, both Warrandyte residents, were unfortunate enough to be present and have a first-hand experience of the attack. Despite the obvious negatives of being involved with such a traumatic event, the trekkers did take away positives, most notably a strong bond and connection with the porters that may otherwise not have occurred. The story of this connection, the event and its aftermath have now been published into a book Attack on the Black Cat Track, written by Max Carmichael, which ought to attract large interest from the Warrandyte community. “All us trekkers wanted to record the incident, we actually commissioned the author. Five of us were military and Max is ex military himself, one of us trekkers met him and asked if he’d be interested,” Stevens said. The details of the attack are widely known already by members of the community, but the thoughts, reactions and subsequent actions of trekkers, including Stevens, remain unknown to many. The purpose of the book is to allow this side of the story to be told and for Stevens, the emotion between the trekkers and porters is what he feels most vividly. “I think the main thing for all of us trekkers was the fact that we felt for the porters. There were two killed immediately, one died later of wounds. There was also another six who were pretty badly cut up. Obviously there were families of people who died and in Papua New Guinea there is no social welfare so we were pretty concerned, and set up a porters trust fund. The most important thing for me was the help that we provided to next of kin and people who were injured,” Stevens said. The Black Cat Porters trust has made a major difference in the lives of the porters and their families, assisting them with the injuries that don’t allow them to resume their work. “The trust actually funded one of the guys, Andrew Natau to come out here for surgery. He had surgery at Cabrini hospital, he was here for about six months at the trusts’ expense, and we found a place for him to stay,” Stevens told the Diary. The Warrandyte connection aside, local residents will take interest in the book because of the similar nature of the Warrandyte and porter community, according to Stevens. Attack On The Black Cat Track is available for purchase at book stores, containing interviews from trekkers, pictures and other platforms that detail the incident. The book retails at $30. The author has offered Warrandyte Diary readers a copy at a discount price of only $15 by emailing peterstevens_5@bigpond.com.